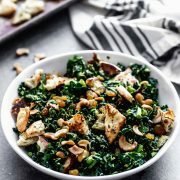 Coconut Curry Kale Salad with Naan Croutons: Sweet, spicy and full of flavor! 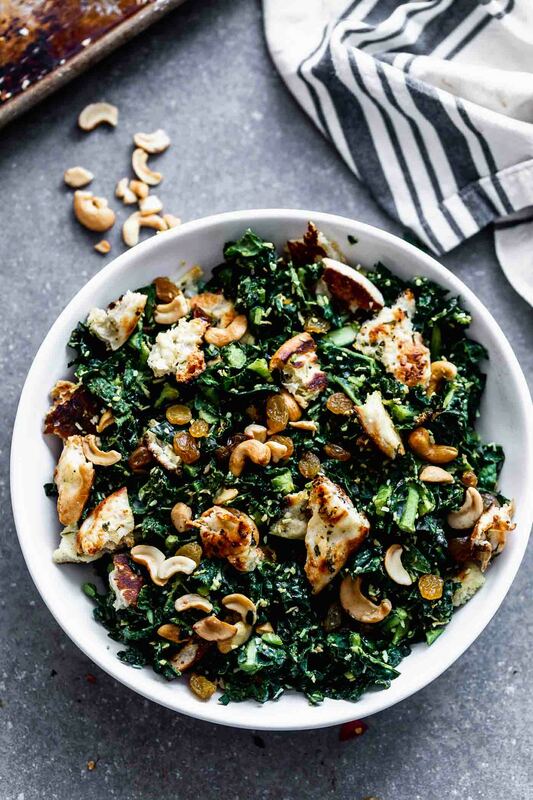 Why is it that I can’t get enough of kale salads?? I’m borderline obsessed. I realize kale salads are so last year (or whatever year), but they’re still a great love of mine. Why? Because they’re infinitely adaptable, stand up to infinite add-ins, and so hearty, I can actually count it as a full meal. And I desperately need to start making salads, meals. Another current love of mine? Everything curry. Curried soup. Curry burgers. And now, curry salad. 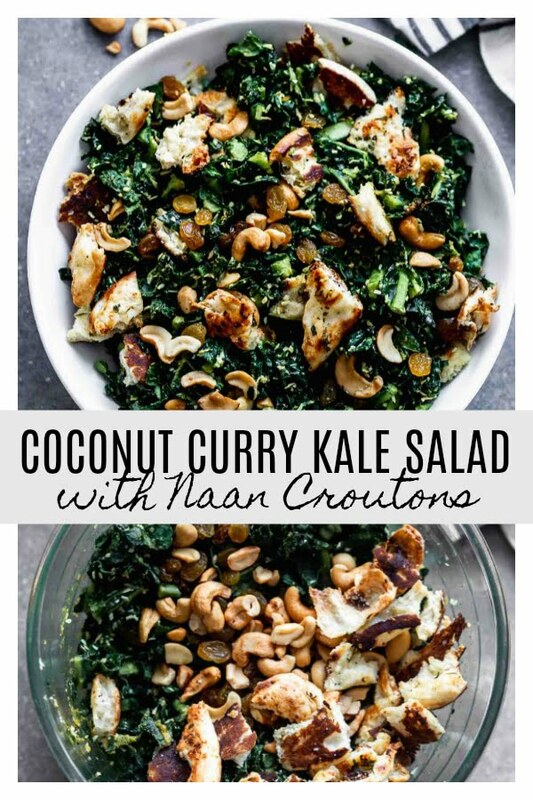 It seems like an odd pairing, curry and kale salad, but it works. Well. Unsweetened coconut: toasted or not toasted, totally up to you. 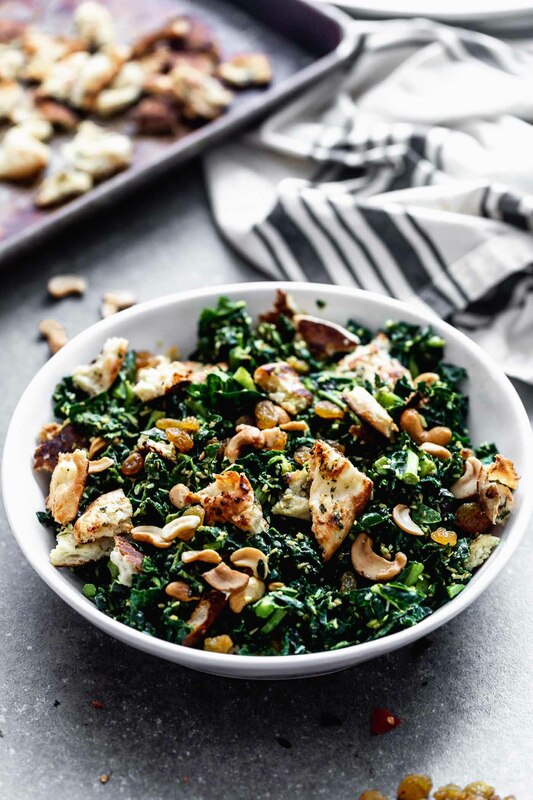 The only problem with the dressing, is coconut oil has a tendency to firm up when it hits something cold, so I recommend leaving the kale out at room temperature for about 10 minutes, so the oil doesn’t solidify upon contact with the kale. Other than that, it’s the simplest dressing on the planet to throw together. If you don’t have yellow curry powder on hand, you could also use red chili paste. And the Naan croutons…Arguably the best part of the salad! 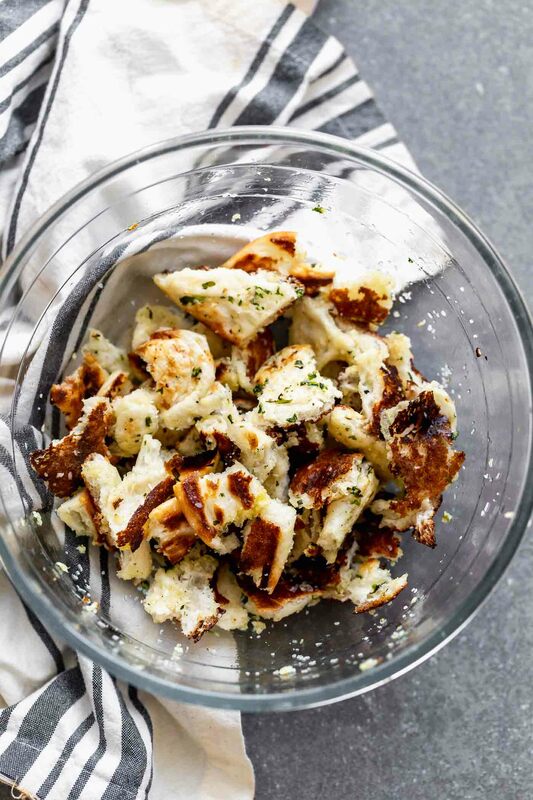 Crispy, chewy, garlicky little bites of heaven. I used Trader Joe’s frozen garlic Naan because it’s honestly the best Naan outside of going to an actual Indian restaurant. All I did was tear the bread into bite-sized pieces, toss them with a little bit of olive oil, sprinkle with salt and pepper and threw them into the oven until they were super crispy. Just before serving, everything is tossed together, seasoned one more time with salt and pepper and ready to be served with your favorite curried chicken or chicken korma stew. 2 cups garlic Naan bread Trader Joe's frozen is the best! Preheat oven to 350 degrees. Toss Naan with 2 teaspoons olive oil. Sprinkle with salt. Toss again. Spread on a baking sheet and bake until golden brown and crisp, about 10 minutes. While the croutons cook, whisk the lemon juice, agave and curry powder together. Whisk in olive oil, then whisk in coconut oil. Season to taste with salt and pepper. Toss kale with dressing. Season to taste with salt and pepper. 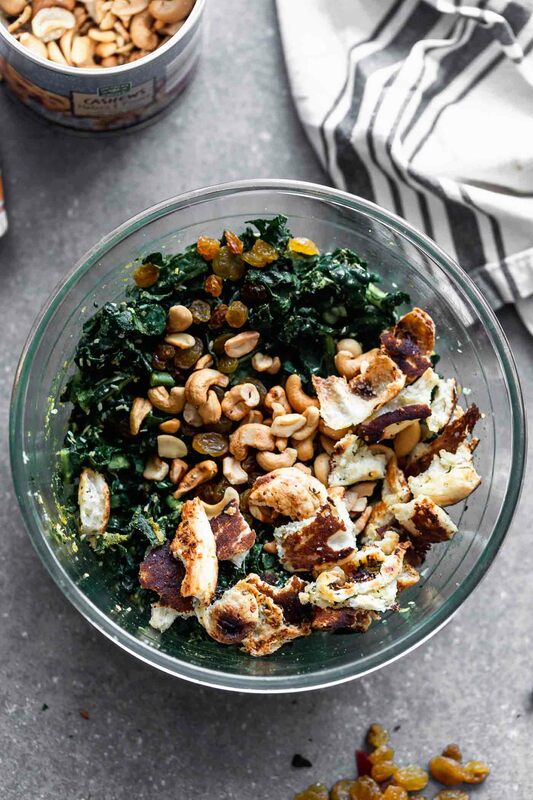 Toss with coconut, cashews, raisins and cooled croutons. One Response to "Coconut Curry Kale Salad with Naan Croutons"